Another solo Q&amp;A episode coming at you this week. Pay extra special attention to what I'm spittin in the first and last answer. There are a few tidbits in there that could make a huge difference in your training, your results, your recovery, and your overall enjoyment of life. Keep sending the awesome questions my way and I'll keep answering. Thanks. And enjoy today's episode featuring the following questions: What are you currently learning about yourself? The single most important aspect of recovery. What determines how hard and how often you can train? How can I build my legs without squats and deadlifts? Do you eat red meat every day? What is the best way to gain muscle/lose fat without tracking macros/calories? Is it better to get lean with a high carb diet or high-fat diet for a male in his early 30's? Who is on your Mt. Rushmore of DJ's? Advice you'd give to a 20-year-old who wants a long training career? What causes cold hands and feet and what should you do about it? When/how did you know you were ready to start a podcast? How do you balance fitness and life? Favorite MC of the new generation? Can fat loss stall on too few calories? Favorite Metallica track to listen to when not listening to hip hop? Are flyes needed for chest development? IIFYM or keto? Thoughts on having beginners do an upper/lower split but train 3x a week on a rotating schedule? 2 things NEVER to do when trying to build relationships. What are you most proud of, Jay? (accomplishments, choices, etc.) This episode is brought to you by Athletic Greens&lt;http://www.athleticgreens.com/jay&gt;. With 75 ingredients working together to help with 11 different areas of health, Athletic Greens helps detoxify your body, boost your energy, and strengthen your immune system. Get all your vital nutrition in 30 seconds or less at&nbsp;www.AthleticGreens.com/Jay&lt;http://www.athleticgreens.com/jay&gt; to claim your Renegade Radio special offer. 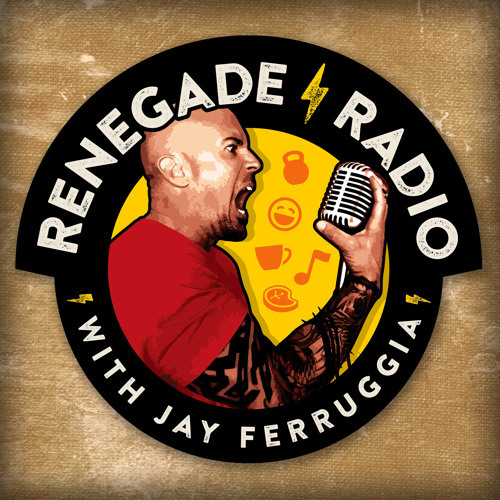 This episode is also brought to you by Organifi&lt;http://www.organifi.com/renegade&gt;.&nbsp; Organifi Gold is a delicious, "Golden Milk" nighttime tea that helps you fight inflammation and improve your sleep. Click HERE&lt;http://www.organifi.com/renegade&gt; or go to&nbsp;www.organifi.com/renegade&lt;http://www.organifi.com/renegade&gt; to get yours today! Best advice in the game! Thank You J!